Listen to me on two new podcasts! For the record – I freaking love listening to podcasts. I listen while I sew, walk around London, and before I go to sleep some nights. I mean, my last job was even at a podcast company! 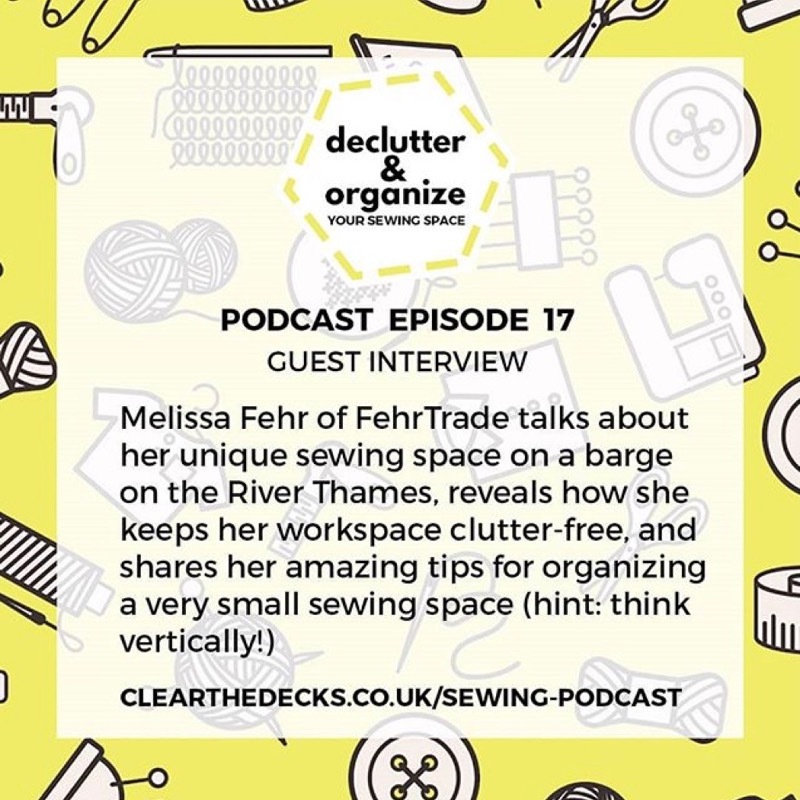 Clear the Decks is a podcast all about decluttering your sewing and crafting space. 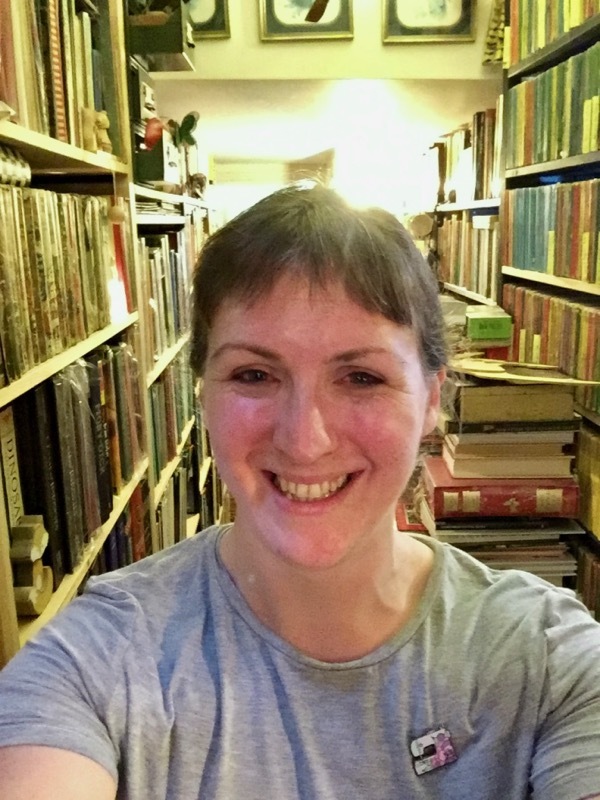 I’ve known Nadia for years since her days working at the V&A, but she’s now a professional organiser and she’s sharing her knowledge and techniques on keeping your space organised and working for you. 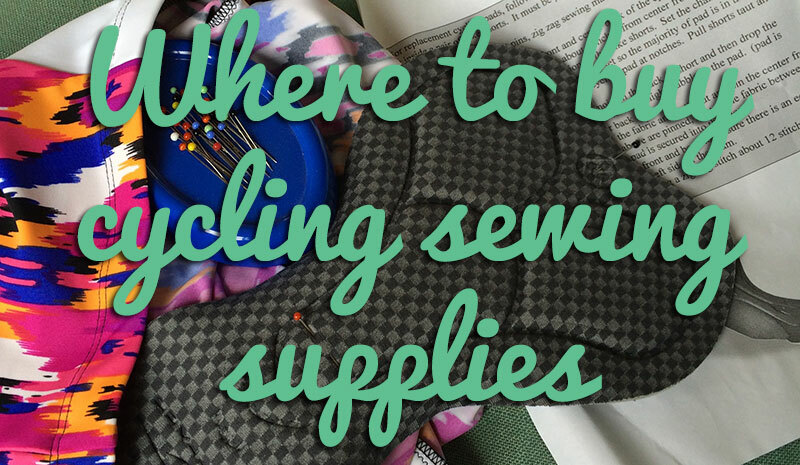 I know so many sewing rooms are an absolute maelstrom, but I’m actually a very tidy and organised sewist – I couldn’t work in a mess like those I see online! 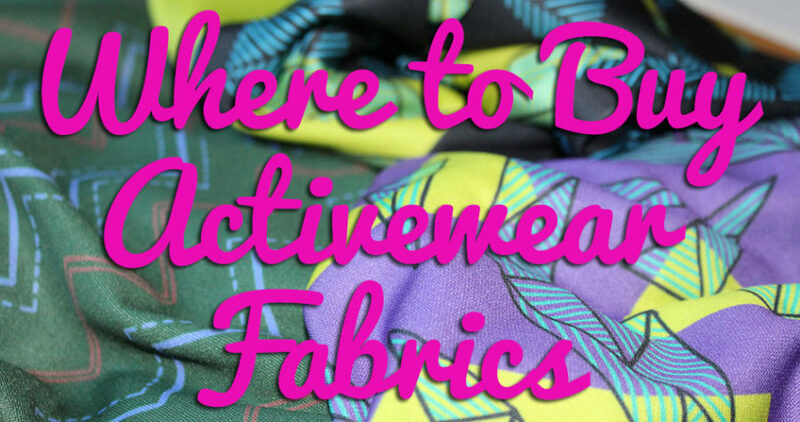 So it was great to share some of the techniques I picked up in working in my very small sewing space (which I blogged about here). You don’t have to have a huge room to make it work for you! My room is about the size of most American closets but I frequently use three machines, sewed all the samples for my book, Craftsy course, and patterns in it. Have a listen to Episode 17 with me here! I first met Gabby and Megan at the inaugural Sewing Weekender nearly three years ago and I was delighted when they launched their own Stitcher’s Brew podcast earlier this year. We’ve been trying to coordinate our schedules since, ooh, episode four or so, so I’m so glad we finally got a date in the diary and recorded an episode! Stitcher’s Brew is really the next best thing to having the guests sitting in a room with you and chatting – they always pick the most inspiring and interesting people to talk to, and we covered SO MUCH in the time I was there – everything from my time on the GBSB, sewing my wedding gown, writing my book, my bone marrow transplant, running marathons, representing Team GB at the World Transplant Games, running in Transylvania, and filming my Craftsy class through a recent bout of illness. It was ridiculously fun to record (and yes, I totally could talk for Britain! ), so I really hope it’s just as fun to listen to! You can listen to Episode 23 with me here! 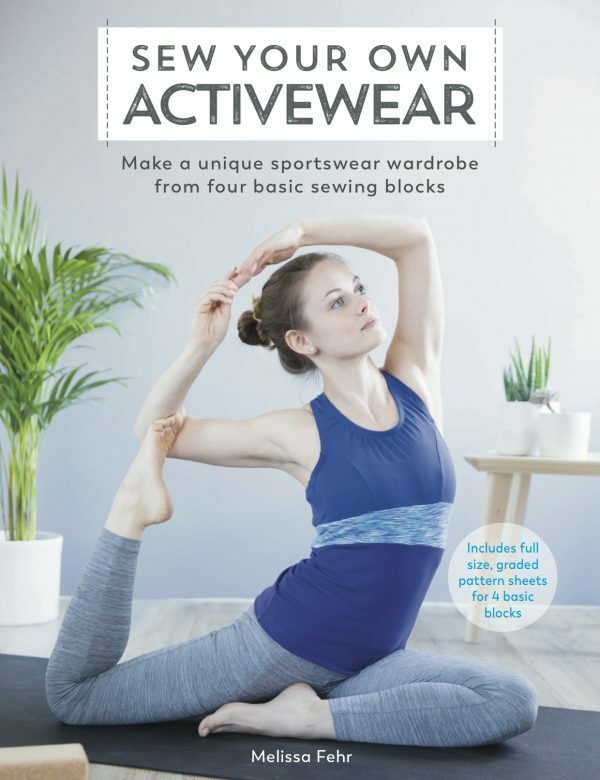 Both podcasts are also available on places like iTunes, Stitcher, Spotify, etc, so if you’re like me and have a podcast app already set up, have a search on there and queue it up for your next commute/sewing session/bit of downtime! Separator image Posted in Inspiration and tagged with fehr-trade-patterns, press, reflections.